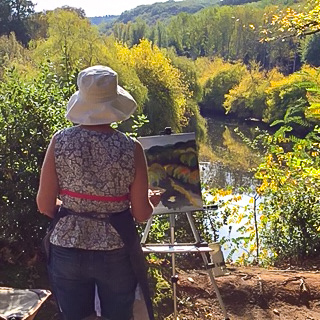 Designed for artists who have some experience of painting outdoors and wish to capture the beautiful scenery and changing light of this stunning area of South West France. 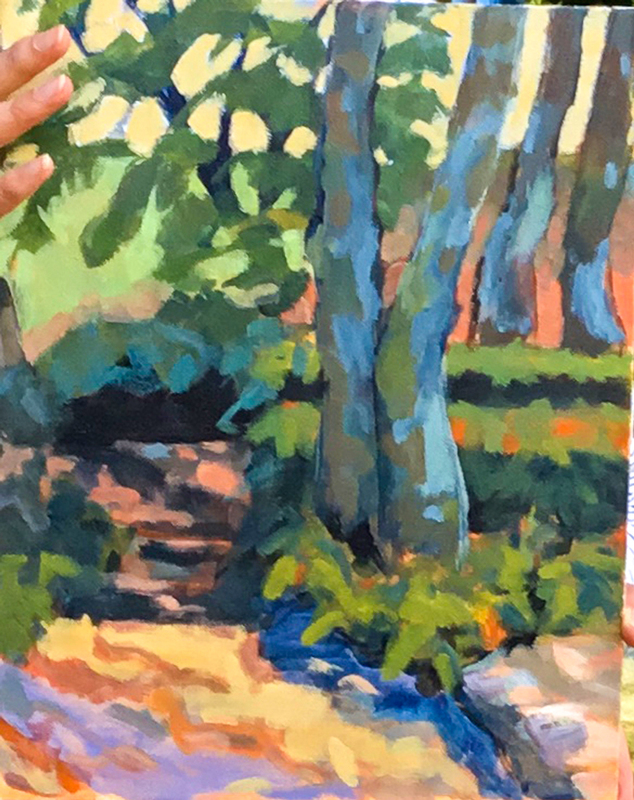 Our tutor, Diana Seidl has been teaching art for many years and has a wide experience of many different media. 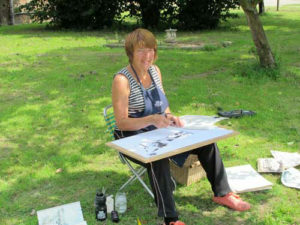 She is an extremely accomplished, talented and experienced artist and tutor. 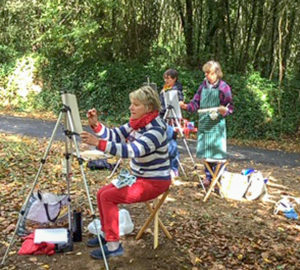 This course welcomes those who want to paint in oil, acrylic, watercolour and pastel and even a mixture of these. Bring the media you find the most comfortable with but remember the pictures need to travel home with you. You should bring all materials with you. There are many lightweight easels on the market that collapse in small packages and go easily into your luggage. There is also an Art Shop at nearby Sarlat-la-Canéda for emergency supplies. We supply painting stools. 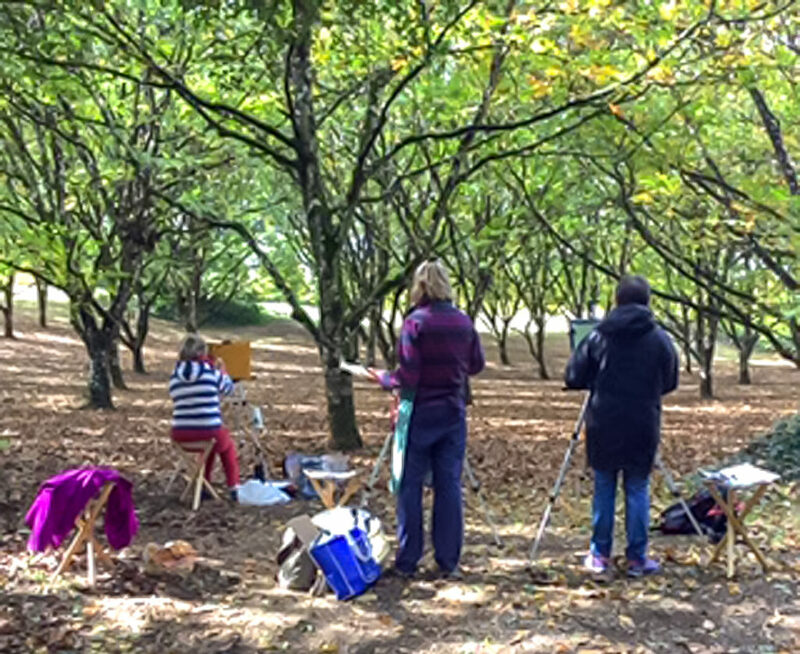 Each working day will start with a “teach in” at the studio in the Manor house, focusing on a particular aspect of landscape painting. e.g. composition, colour, tone etc. This is designed to prepare the artists and help them when they start their work. Please bring a camera, phone or iPad to help record the light, as it will change dramatically during the day. Most days we will do a morning painting and an afternoon painting. 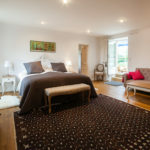 At the end of each working day we will meet in the studio and there will be a roundup to look at each other’s work, and discuss good and development points of the day, followed by dinner at Les Charmes. 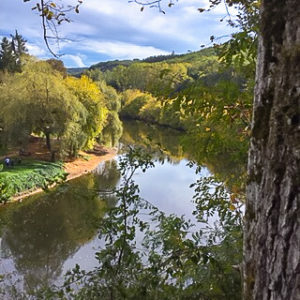 Our tutor Diana, will ensure that each artist will be encouraged to develop their own approach to the landscape through in depth personal teaching. Participants should be able to walk for short distances carrying their equipment. We will transport you to and from each painting location each day. Please note that holidays do not include flights or transport to and from the airport. Please see “contact us” for more details about finding us. 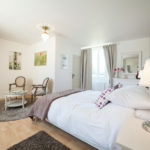 Costs are per person per week: 7 nights accommodation, 5 day course (Wednesday free day and includes a guided visit to Lascaux caves). Please note that prices are based on one artist travelling solo. Partners are welcome and just need to pay for extra meals they join. 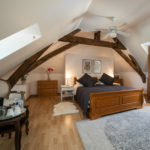 If you are travelling with a partner not participating in the course, please “contact us” for pricing information. Dinner is 3 courses and half a bottle of house wine or soft drinks and coffee. Wine in addition to this is at an extra cost. Extra guests sharing a room but not participating in the course, pay for the lunchs and dinners they will join.